I can help you to manage and control your pain levels without the use of drugs! Whether you are looking for relief from acute or chronic pain, or maybe you just want to visit the dentist, have that operation, or have your baby delivered with little or no chemical anesthesia and be still being completely pain free, you can, all with the power of your own mind, applied psychology and hypnosis. I have been specially trained by the American Association of Medical Hypnotherapists to work alongside the medical community for all your pain management needs. I am also a fully licensed Thrive consultant and I train people in specialised research backed psychological mind training programme known as The Thrive Programme™. 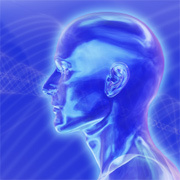 I now train fellow hypnotherapists in these powerful pain management techniques involving hypnosis and hypnotherapy. In these workshops I demonstrate how, within a few minutes, I can help the volunteer’s arm become so numb, I actually pierce it with a needle and they will tell you that they couldn’t feel a thing! Now. 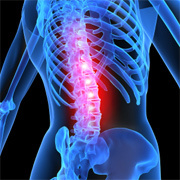 I am sure that you can imagine the amazing benefits you will receive from such powerful pain management techniques. These techniques can be used as a safe, natural alternative to anaesthetic for surgery or for controlling more chronic pain such as arthritic joint pain. 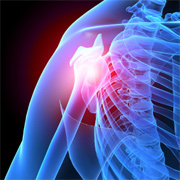 Pain management through my techniques is very special and very effective; however, your Doctor’s referral for pain management is essential – WHY? Because pain is a signal / symptom that usually means something is wrong and it would be absolutely reckless for me to treat a headache and find out later, from another source, that it was a sign of something more serious. If your pain was due to an accident and you had injured your knee and I used hypno-anaesthesia to take away the pain and you carried on your day-to-day life as if there was nothing wrong with you without seeking proper medical treatment, you could damage your leg irreparably. That’s why I recommend that many physical pains are reduced to a manageable level; thus clients are taught how to reduce, control and manage their pain and discomfort rather than eliminating it completely. Pain may also be caused by many non-medical or non-physical causes. Often pain can be the result of, or exacerbated by emotional baggage. It is well known that emotional pain is far worse than physical pain (anyone who has ever grieved can testify to this). In such situation, I can offer you a very quick and effective way to resolve this emotional pain. Ciaran manages his serious health issues – so can you! Alan overcame his pain amongst other things – so can you! Would you like to learn how you can manage your health problems?